Various triggers may cause asthma attacks and the breathlessness that accompany it. If you suffer from asthma, you know how hard it is to deal with your symptoms, not to mention an attack. The difficulty in breathing, the stress that it causes, and the fear of not having your inhaler with you. While it’s not always possible to control the environmental causes of your asthma symptoms , it is possible to reduce the emotional causes of them. Two things that increase the risk of asthmatic symptoms are anxiety and stress. In today’s world, stress is an everyday occurrence, brought on by conflicting bids for your attention from work and family, not to mention financial worries, health diagnoses, and social commitments. Lowering the amount of stress in your life can seem like an impossible task. At Advanced Care Hypnosis, Daniel Rose and his knowledgeable team are well-versed in ways to use hypnosis to reduce your stress, thereby, reducing the frequency of your asthma symptoms. They have seen results in as little as one session and will be able to help you relax and control your stress level with the help of hypnosis. Have you ever been somewhere and thought, I hope I don’t have an attack here… maybe you forgot your inhaler, or maybe the air is dusty. Whatever the reason, you fell anxious just thinking about the possibility of experiencing a symptom. Hypnosis is an effective method used in the reduction of negative emotions. The staff at Advanced Care Hypnosis use hypnotherapy to guide you into a more relaxed and calm state. Once there, you are open to suggestions and influence that can give you the opportunity to replace the anxiety you feel with positive affirmations. Daniel Rose has over 30 years of experience working with clients who suffer from anxiety and asthma. Imagine how your life would be different if your asthma symptoms were less prevalent, allowing you to do things with more freedom and less anxiety. Picture yourself being able to calm yourself using techniques like self-hypnosis so that you can cut off an impending asthma attack. With more control over your emotions and respiration, your asthma symptoms will decrease. Situations and environments that used to cause your symptoms to flare up can now be regarded with less trepidation, and you can expand your comfort zone as you never have been able to before. Advanced Care Hypnosis will be there to help you relieve your asthma symptoms and lead a more fulfilling life. Let them show you how to control your stress and anxiety so that your asthma is no longer controlling you. The quality of your life will significantly increase with the reduction of your symptoms. You can spend more time doing the things that you love and enjoy, as well as those that will advance your career and benefit your health, when your asthma is not the first thing on your mind. Are you ready to change your life? Contact Advanced Care Hypnosis and let hypnosis help you enjoy life more. 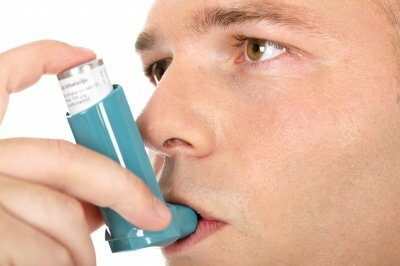 Hypnosis can also help you manage asthma and can give you a reassuring sense of control over your condition. Research shows that negative emotions such as panic and depression can affect the respiratory system, in effect bringing on an asthma episode in people with the condition. Hypnosis treatment can lower stress, a common trigger of asthma, but also we know that the power of the mind can influence physical processes. Hypnosis can improve immune function and anesthetize pain and directly and beneficially affect the workings of the body and can ease asthma.